Even though the idea might have seemed laughable in your high school or college years, once men get close to 30, a sense of style is important to many. Being well-dressed projects an image of self-confidence and capability to the world, and it can absolutely impact other people’s perceptions of you. Want to get that hot date? Land that new job? Make your wife swoon, and your friends not embarrassed to see you in public? Most men are able to get the basics down, with their closets containing the essentials of a few nice suits, some fitted jeans, and a couple quality button-downs. The devil is in the detail, however, and the accessories that you pair with those essentials can matter just as much. 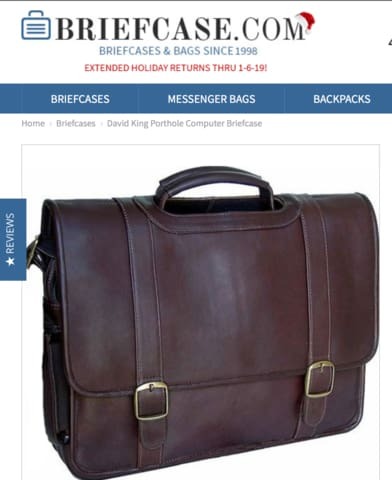 Classic leather messenger bags are perfect for diverse office environments ranging from casual to hyper-professional. Many today come with a number of different pockets, including a padded laptop section, allowing you to safely transport everything you need to and from work. Choose a messenger bag in a high-quality leather in a darker brown or black; these will be stain resistant and go well with most outfits. Look for one that’s relatively scratch resistant and has a long warranty. These bags can be a little pricey, but you only need to purchase them once and they can last decades. Striped, patterned, and even polka-dotted ties have their place in a wardrobe, but all men over 30 should have at least one solid silk tie. Quality silk in a single color can be dressed up or down, and it’s easy to match with more outfits and to more occasions. This will give you a more versatile wardrobe, and the silk upgrade will look easily superior to any polyester version you can find. If you aren’t sure where to start, a dark, vibrant silk tie in a color like a blue or black can be a good option. Again, really great silk ties can be a little costly, but they’ll last a lifetime if well cared for. You want that tie to look great, right? If you don’t already have a tie clip in your wardrobe accessories, you don’t know what you’re missing. 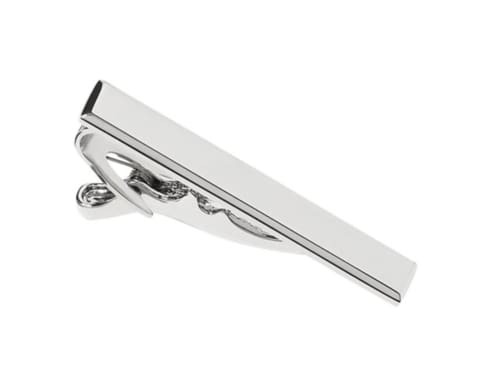 Tie clips (also sometimes called “tie bars”) services both aesthetic and practical functions. In addition to looking great and adding a little more of a stylish flare to your look, it will also hold your tie in place. You don’t have to worry about a windy day leaving your otherwise perfect appearance looking a little disheveled. Tie clips should always be bought in a neutral color. Silver is often a strong choice; it will go with almost everything, and have a great color contrast that helps it look great. It’s time to chuck out that $10 leather wallet you’ve had since college that’s finally showing its age. Opt for a dark-colored wallet made with soft, butter-smooth leather; these will be pleasing to the touch, and they’ll always look fantastic. Handmade goods are typically best, and will have the best quality stitching. When choosing a wallet, make sure there’s enough card slots for your credit cards, license, and insurance cards. You also want there to be room to store some cash securely, too. Smart dress socks ensure you’re dressed well from your head to your toes-- literally. Even if you think no one can see them, if someone gets a glimpse at your ankle, you’d much rather them see nice dress socks instead of your once-white-now-grey workout socks. Dress socks should be comfortable, lightweight, and breathable. 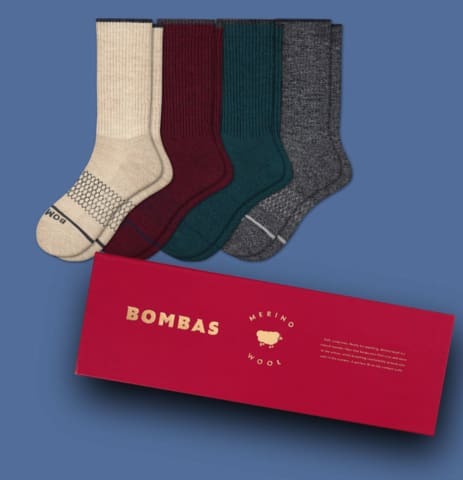 Merino wool socks can be breathable, naturally moisture-wicking, and soft to the touch. 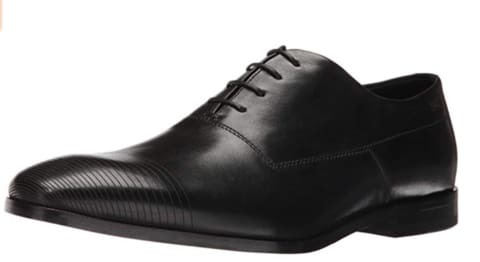 Oxford shoes are essential dress shoes that you can wear to any nice occasion. As a result, you want to have two pairs: one in black, one in brown. Once you do, you’ve covered your bases, and won’t need to worry about not having a pair of shoes to look great in the last second. Go for good quality leather here. As long as your shoes are conditioned regularly and you don’t take any hikes in them, they can and will last you your entire life. Just because you aren’t in the office or dressed up for a big event doesn’t mean you can start slacking now. Even if you’re wearing a nice tee and some jeans, you want to finish off the look with a pair of casual shoes that you wouldn’t wear the gym. Clean, simple sneakers or loafers can work here. You want them to be comfortable, because you’ll wear them a lot and do a ton of walking in them. Neutral colors like tan, dark blue, or black are good choices, because they’ll match a lot. Imagine walking along the street with a beautiful woman next to you. You’re huddled close together under an umbrella, while the rain falls down around you. It’s romantic, it’s a moment… and then a single, tiny gust of wind turns the umbrella inside out. 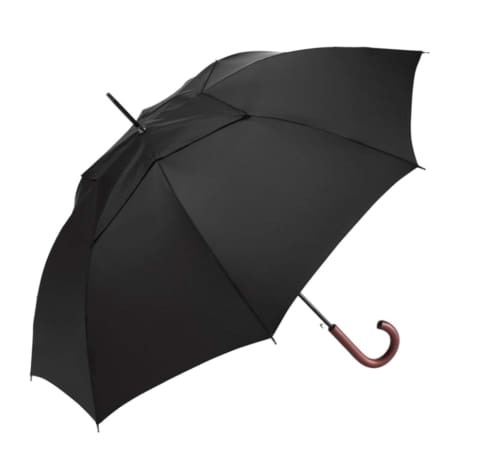 Ensure that you’re kept dry everywhere you go by purchasing a strong, durable umbrella. Look for something that’s wind-resistant. Auto-open and close is nice, too, because it keeps you from needing to fiddle with a stubborn umbrella, getting your arm (and potentially watch) wet in the process. You don’t want to ruin that classic suit, the nice shoes, and the glimmering watch with a $4 pair of plastic pair of sunglasses. Sunglasses are such a small detail, but they can take you from businessman to frat boy real fast. Fashionable, UV-protected sunglasses with frames made out of wire or sturdy plastic are excellent choices. The exact style will depend on your personal face shape, but either the classic Ray Ban or aviator looks are a good place to start. Smart watches are wearable tech. They’re cool gadgets that are also functional, and now, they’re also made to be incredibly fashionable, too. 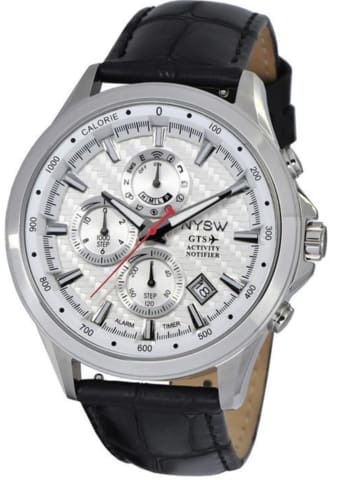 When choosing a smart watch, look for both design and function; with options like our hybrid smartwatches that are designed to look good, be durable, provide smart tech capabilities, and serve as accurate fitness trackers, you don’t have to choose between aesthetics or functionality. And remember, even if you just want a fitness tracker to keep track of your steps, there’s no reason the watch you choose shouldn’t look as great as the rest of you. For many men, their watch is a point of pride; now yours can be, too. We call ours "hybrid analog smartwatches" for this reason; it gives you the best of both worlds. One more pro tip here: when choosing a smartwatch, choose one that’s versatile. Your best bet is one that allows you to easily swap out the watch bands. This can change up the look of the watch quickly. There’s a lot of truth in “look good, and feel good,” and all men over 30 should have each of these accessories in order to make sure that they’re looking excellent. It’s hard to resist the appeal of a well-dressed, put together, confident man, so invest in yourself and your appearance. We guarantee you won’t regret it. Ready to revamp your look? Learn more about our fashionable, fitness-tracking smartwatch here.